Grontmij’s consultants were responsible for the innovative and integrated sustainable approach of this extraordinary building in China. It resulted in a conceptual design for all engineering disciplines. 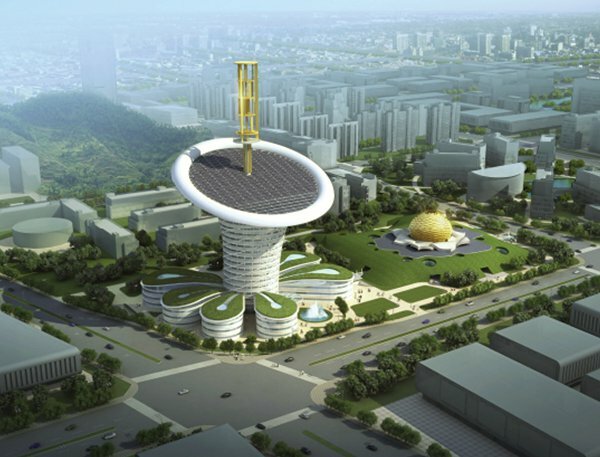 The Wuhan New Energy Institute, including an Exhibition Centre, is a new-build project of 70,000 m2 gross in the Wuhan Future City development zone in Wuhan, China. The sustainability concept and the architecture of the main-building are inspired by nature: the calas lily flower, which symbolises purity, hope and greatness. The tower will be surrounded by five laboratory buildings and an exhibition centre. The combination of the BREEAM-international New Built label and a 3-STAR award of the Chinese Green Building Evaluation Label implies this building will be one of the world’s most sustainable office towers. 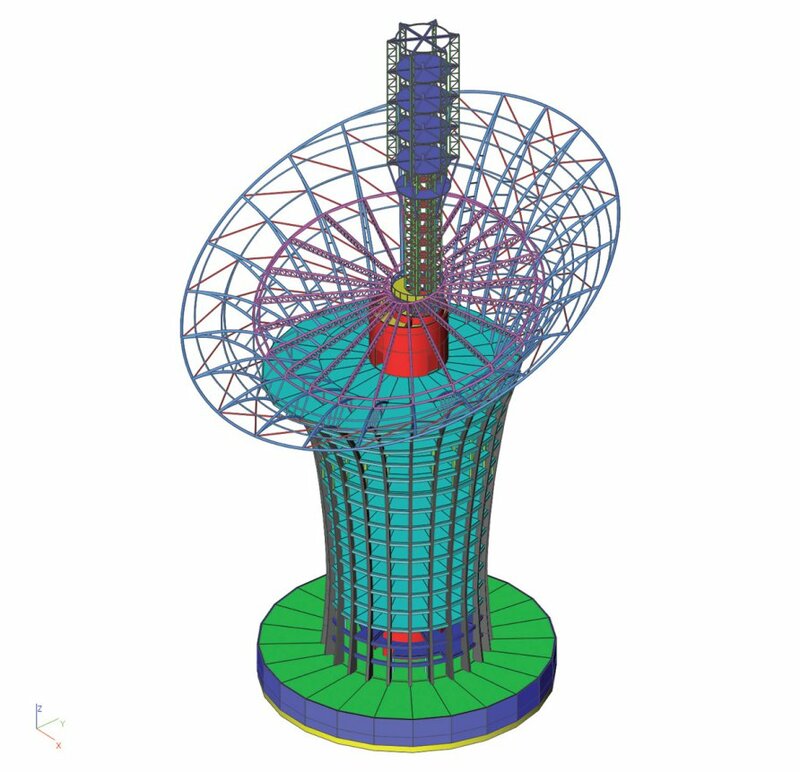 The conceptual design of this project emphasises the theme of new energy utilisation, while it meets the basic functional requirements of gathering the new energy technology industry resources from Hubei Province, from all over China, and even the whole world. After the construction is complete, it will be the most influential pilot architecture with renewable energy in central China and its main building shall be guaranteed to receive the most senior 3-Star Award in the Chinese Green Building Evaluation System. In addition, the main building shall also be aiming for the highest foreign certification with a BREEAM-international bespoke award. 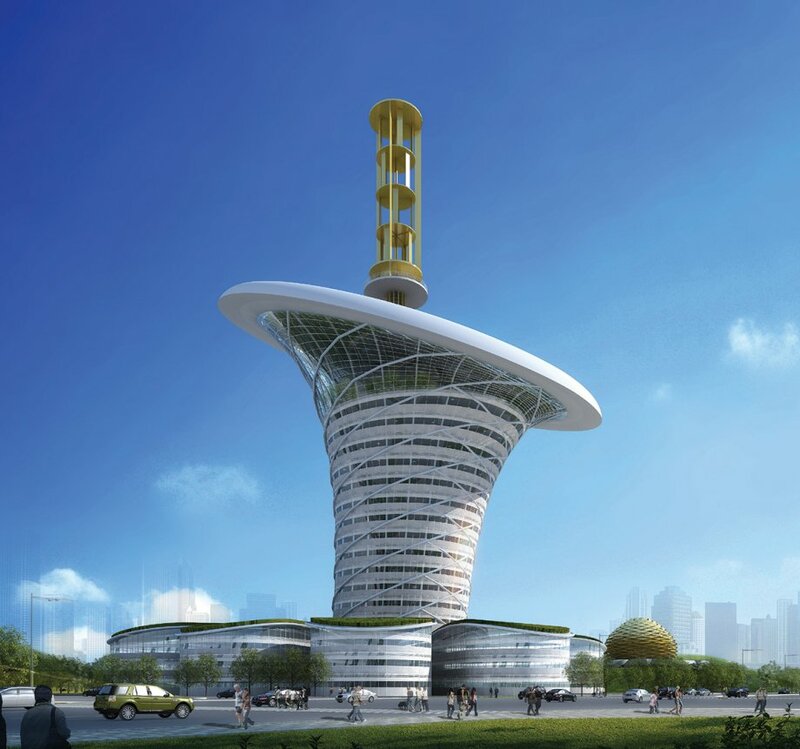 The Grontmij consortium (Grontmij, a leading engineering consultancy, together with Shanghai Xian Dai architectural and engineering group) was the bid-winning company of the international request for proposal and we signed a contract in October 2010 to work out the proposal design to a further detailed design with the goal of starting the construction in summer 2011. Grontmij has the lead in the conceptual phase of the following disciplines: process management, sustainability, architecture and urban planning (Jos van Eldonk), structural engineering, building systems engineering, energy, building physics and fire safety engineering. Given the short period of time of only 2 months, we had to be able to react quickly on changes in the design. Good interoperability between the software was thus very important. The organic shape of the building was modelled by the designer and architect in SketchUp, in close discussion with the principal. During this period, the Scia Engineer model was built based on the SketchUp model and sent to Revit to create the final architectural model. This however resulted in some hiccups. 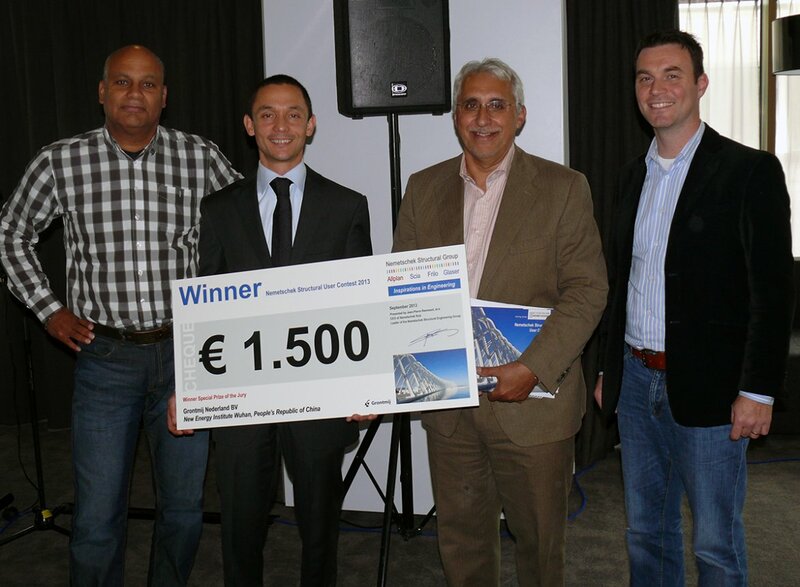 With the help of the Nemetschek Scia support team, we understood that these were linked to the advanced and easy way complex shapes can be modelled in Scia Engineer, but that was incompatible with the Revit approach. To solve this, we turned the process around by first building the model in Revit, based on the SketchUp model, to then send it to Scia Engineer. This proved to be a more reliable workflow. Similar conversion issues appeared between Scia Engineer and ETABS (used by our Chinese partners), that we could solve as well by adapting our workflow. 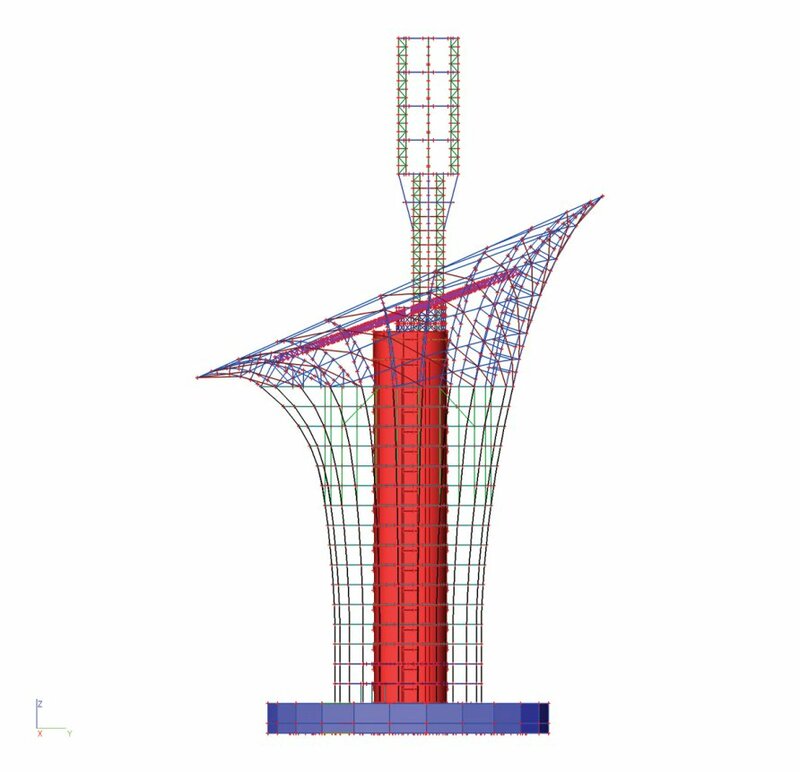 Using the software package Scia Engineer made it also easier and clearer for our engineers to ascertain how the structural design best responds to special load cases such as earthquakes. Thanks to this, we were able to quickly process the rapid succession of changes in response to the client. With these experiences in mind, our management clearly decided to expand our software and encouraged us to invest more in BIM. 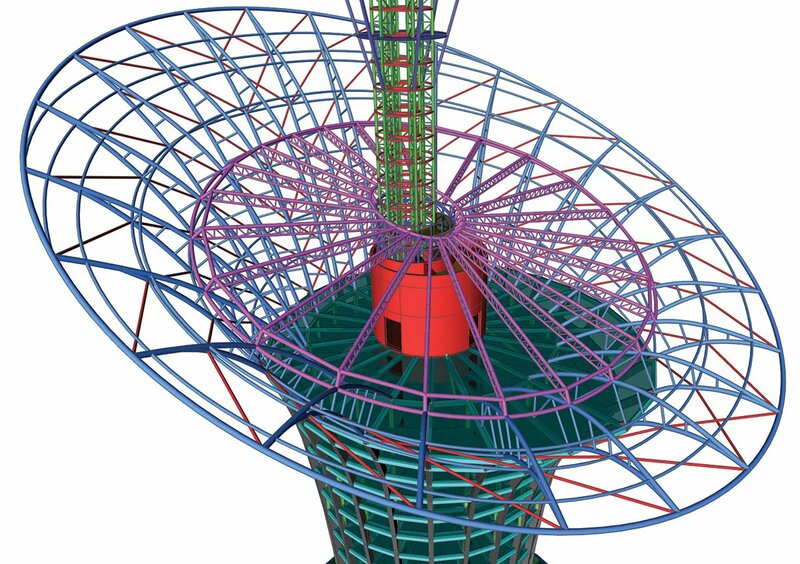 One of these decisions included switching to Allplan Engineering, aiming to overcome the problems of exchanging data between CAE and CAD software. Nowadays, all experiences in BIM processes are shared across the different divisions of Grontmij. We thrive to implement this new way of working wherever possible, to bring benefits to every stakeholder of the project.